GG Green - Seattle Magician | Hire the Best Magician in Seattle for Amazing Entertainment! 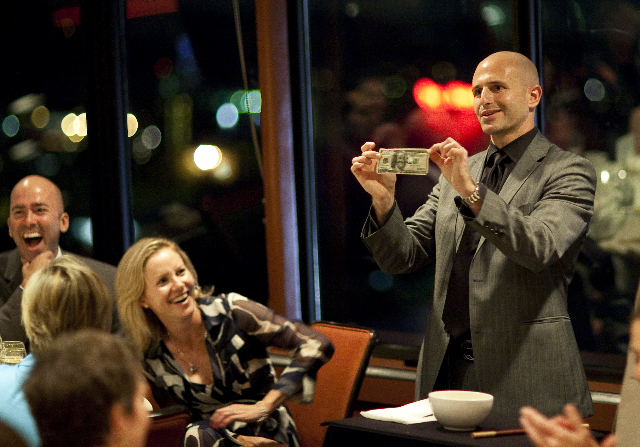 Hire the Best Magician in Seattle for Amazing Entertainment! Make your next event an experience your guests will never forget! From cutting the CEO in half on stage, to world class, close up sleight of hand, Seattle based magician and corporate entertainer G.G. Green will work with you to create the most memorable moments of magic you can imagine. “Everyone had a fabulous time at the party! You took the party to a whole new league. Everyone said your performance was OVER THE TOP INCREDIBLE!! It was especially great for this kind of crowd as most of the guests did not know each other…it broke the ice. Thanks again for making my 50th birthday party a night everyone will remember!” -Shelly S.